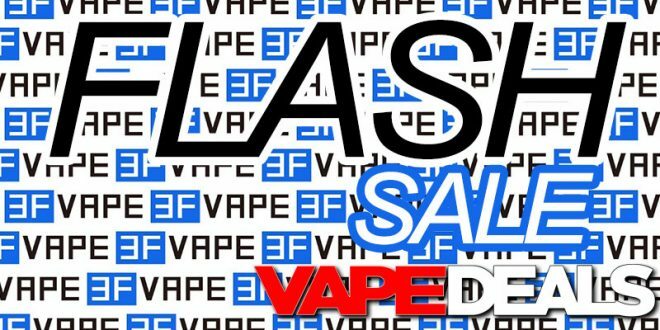 3fvape didn’t add a lot of new items to their Flash Sale this week, but I still thought it was worth mentioning. As usual, they have some solid deals available. Examples: $11.99 Oumier Wasp Nano Mini RDA (new green color), $14.99 GeekVape Ammit MTL RDA (rainbow), $20.99 Blitz Hermetic RDA, $23.59 Blitz FP RTA, $25.99 Limitless Arms Race, etc. Check out the list below for more. Some of these prices are only valid until the end of the week (Sunday, 11/11), so be sure to get your orders in before then. And, as always, keep in mind that 3fvape offers FREE shipping when you spend $15 or more. **Prices may vary depending on which colorway you choose. Also, some prices will be lower after you log into your 3fvape account.